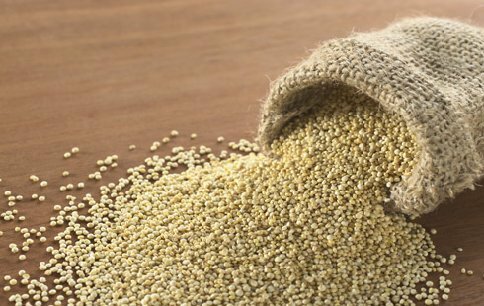 Local.com | What is Quinoa and How Can it Benefit Your Health? What is Quinoa and How Can it Benefit Your Health? Quinoa has been a popular food amongst health enthusiasts for years, and now more people are starting to tout the wonderful health benefits of the crop. The grain hails from South America and has been consumed for centuries. Quinoa is a food high in protein, and it happens to contain all of the essential amino acids. It is also high in manganese. This is an antioxidant, which is able to help remove free radicals from the body. Quinoa also contains magnesium, which can reduce the risk of high blood pressure and even migraine headaches. The potassium can help to prevent clogged arteries, and the calcium promotes healthy bones, skin and teeth. Quinoa is even a good source of fiber. This crop also happens to be gluten-free, perfect for those who suffer from allergies to wheat. In addition to the protein, it offers plenty of carbohydrates for energy. Low in saturated fats, it is a perfect addition to any diet. Quinoa is easy to cook with. Make sure that you soak it for at least 15 minutes and then rinse to remove the bitter after-taste. You can prepare it in the same manner that you would prepare rice and can pair with salads, and nuts and berries. You can even find quinoa flour to bake with for a healthier alternative! Quinoa is available at many supermarkets and most health food stores.